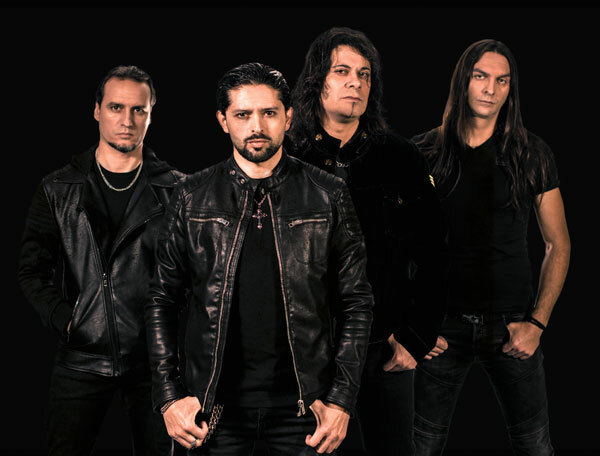 LORDS OF BLACK is the band fronted by in demand vocalist Ronnie Romero, renowned guitarist Tony Hernando, monster drummer Andy C and new bassist Dani Criado. The guys originally got together after the farewell tour of Tony and Andy’s previous band, Saratoga. Tony and Andy decided to join forces with one of the best singers of the underground scene in Spain, the Chilean born, Ronnie Romero. The vision was to form a metal band with a modern approach, yet be catchy, melodic and progressive. After months of intense and hard work on the songs, the band released their acclaimed self-titled debut album independently in 2014. Metal Hammer Spain deemed it: “The Best Metal album released in Spain this year”. Then the news of Ronnie Romero joining the new incarnation of Ritchie Blackmore’s Rainbow was revealed. This brought the band to the attention of the international media and music fans. In particular, the words of Ritchie Blackmore describing Romero’s voice as a “cross between Ronnie James Dio and Freddie Mercury” piqued hard rock and heavy metal journalists and fans’ interest. The band signed on with Frontiers for the release of their second album, “II”, an album which blew the minds of fans of modern melodic metal. Co-produced, mixed and mastered by Roland Grapow (Masterplan, ex-Helloween), “II” was an album chock full of superbly crafted songs that gave further credence to the band’s immense talent. In the time since, Ronnie made his live debut with Rainbow to much critical acclaim, partnered up with Magnus Karlsson (Primal Fear) on the new band The Ferrymen, and most recently, was enlisted by legendary Gotthard guitarist Leo Leoni to front his new project, CoreLeoni. Now that even more of the world is aware of Ronnie’s incredible talents, the time couldn’t be more perfect for Lords Of Black to unveil their newest metal masterpiece, “Icons Of The New Days”! 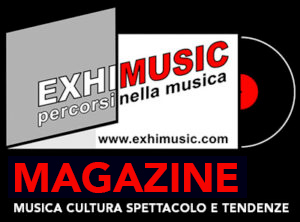 Oggi è Lunedi 22 Aprile 2019 – Sono le ore 06:44.